The new ECO range is deceivingly affordable! And without compromising on the quality or style, Atlantic Door Handles has created the beautiful SWELL round-rose door lever. And if the price wasn't already reasonable enough JAS Timber are offering 25% off! 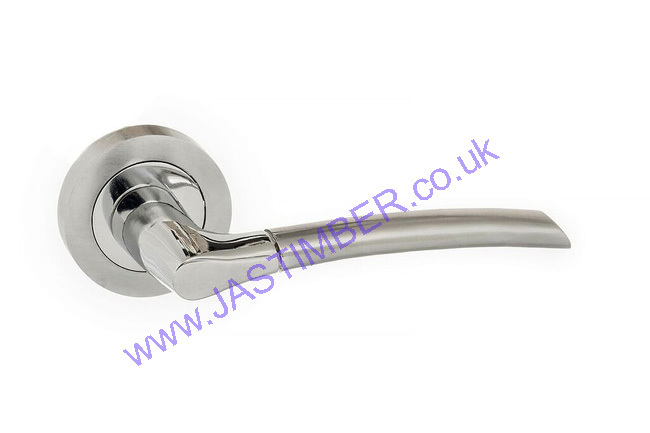 For an exceptional price, this door handle has a dual finish of Satin Chrome and Polished Chrome. Its made with a zinc alloy material ensuring a durable product. Look through the range of matching escutcheons and bathroom fixtures we have in this collection to keep the style throughout your whole house.